Drume ransomware belongs to a family of crypto malware and can be exceptionally persistent. You need to find all associated files and fix possible damage to remove this threat. Employ a trustworthy anti-malware program for that. 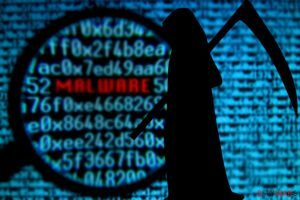 Drume ransomware virus is the type of malware that focuses on cryptocurrency extortion and making the profit. Users' files get locked for this purpose. Drume ransomware – a virus that hails from the same ransomware family which releases a handful of versions in one week of March 2019. This is one of the newest versions of the Djvu ransomware virus that came to the wild only slightly altered. Probably the only difference from other previous versions besides the .drume file extension is the ransom note file name, but not the text or contact information. Drume ransomware virus encrypts users' files and delivers _open_.txt file with the information about ransom amount of $980. As before, there is an opportunity to get a 50% discount if you contact cybercriminals in less than 72 hours. However, paying the ransom is not an option, and you should remove this threat and clean the device instead. You may lose your money or files if you try to contact virus developers. Remember that this virus also belongs to a STOP ransomware family. Unfortunately, Drume ransomware virus hails from a whole cryptovirus family called STOP ransomware that first was spotted in December 2017. However, the primary version of this threat is Djvu ransomware that has been especially active for the past month because researchers discovered at least fifteen variants already. You should never trust people behind cyber threats like Drume ransomware because those people are criminals and all they want is to trick you into paying the demanded amount. Unfortunately, there is little possibility that paying could work as an option to get your files back. In most cases, developers disappear after that money transfer. The main focus of cyber threats like Drume ransomware is to get users' money by encrypting their files and demanding to pay for the recovery. Unfortunately, criminals cannot guarantee that you will get your files after the payment. The best solution for those locked files is data backups or file restoring software. However, you should first focus on Drume ransomware removal and then attempt data recovery. It is especially crucial because cryptovirus can encrypt restored files and this way you lose your data and money. 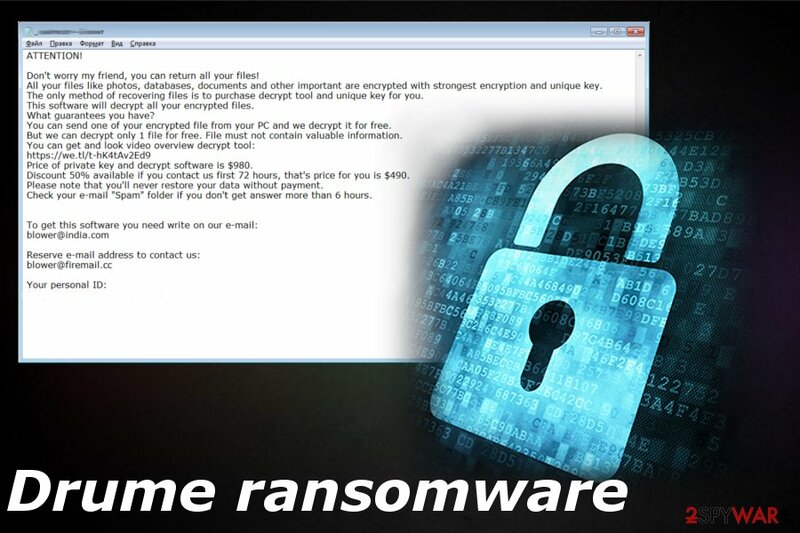 Drume ransomware is a cryptovirus that offers to lower the amount of ransom by half if you contact them in less than 72 hours after the encryption. As many other cybersecurity experts we recommend using reputable tools like Reimage and eliminating the virus first. 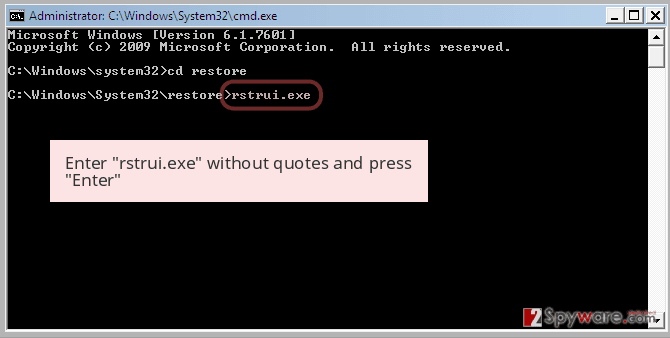 When you remove Drume ransomware this way, all related files and programs can be deleted. Also, professional anti-malware programs that we suggest to use for this job can fix additional changes on the system made by the virus itself. In most cases, crypto malware like Drume ransomware are designed to delete Shadow Volume Copies or disable some security functions, add new registry keys to block you from accessing specific pages like our website. For this reason, virus termination becomes difficult. 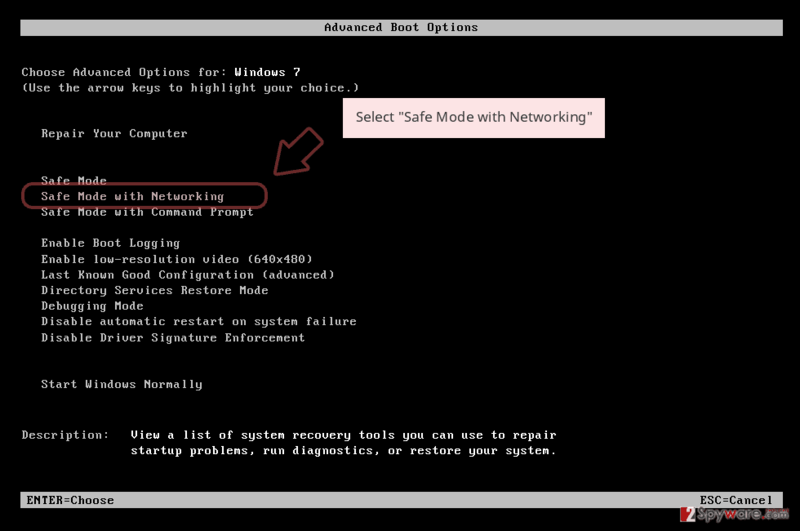 Rebooting the machine in Safe Mode can help with this issue. Computers can get compromised and infected by various malware including the ransomware when users are not paying enough attention to the content they get exposed to. The goal of a cryptovirus is to infect the machine without users' permission or knowledge and launch malicious script. The goal is achieved with infected email attachments that contain documents posing as invoices, receipts or reports from services and companies. Once the attached file is downloaded and opened on the machine, the system gets infected with ransomware delivering malware or the malicious cryptovirus directly. 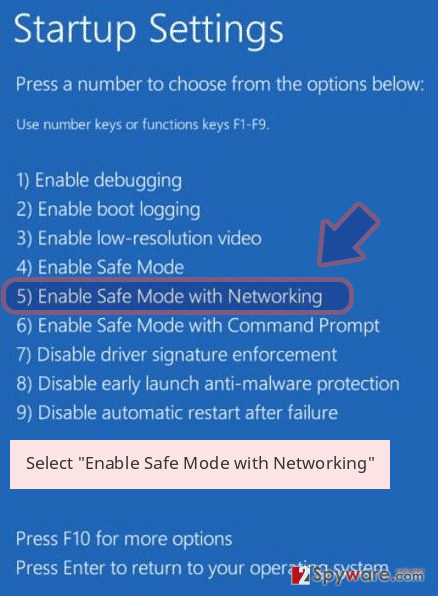 You can also get this virus by launching payload dropper via Windows crack files, patches or license activators. Also, virus infection may be hidden in software setup files, key generators or program files. You should delete suspicious emails from the box as soon as you get them and always choose reputable sources for your software. To remove Drume ransomware from the machine completely, you need to take actions as soon as possible, so that the virus is not going to alter too much on the machine. If the ransomware has enough time, it may disable your antivirus program or launch additional scripts to make the elimination difficult. For the Drume ransomware removal as for any other cryptovirus that works similarly, we recommend getting a professional anti-malware program. A full system scan performed by the malware-fighting tool can improve the performance of PC and terminate possible threats. Eliminate Drume ransomware and clean the damage at the same time. You can rely on Reimage, Malwarebytes MalwarebytesCombo Cleaner, or Plumbytes Anti-MalwareMalwarebytes Malwarebytes for the system cleaning. However, remember that databases on these tools may vary and you may need to try a few of them to delete this threat once and for all. Log in to your infected account and start the browser. Download Reimage or other legitimate anti-spyware program. Update it before a full system scan and remove malicious files that belong to your ransomware and complete Drume removal. 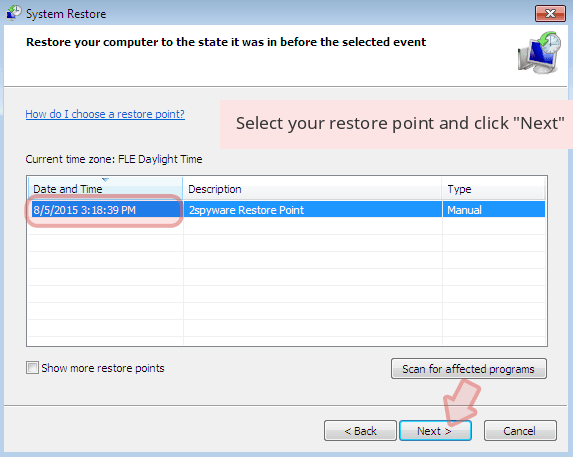 When a new window shows up, click Next and select your restore point that is prior the infiltration of Drume. After doing that, click Next. 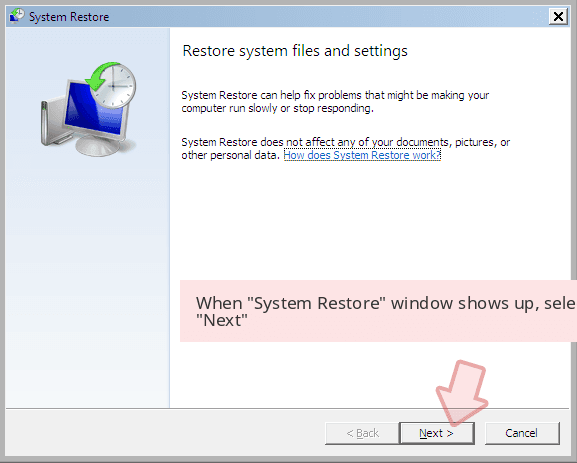 Once you restore your system to a previous date, download and scan your computer with Reimage and make sure that Drume removal is performed successfully. 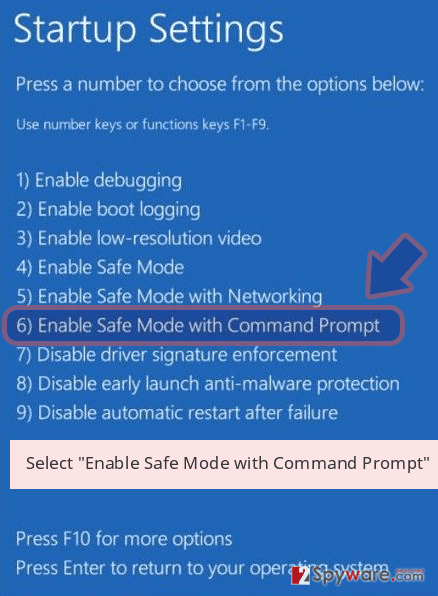 Guide which is presented above is supposed to help you remove Drume from your computer. To recover your encrypted files, we recommend using a detailed guide prepared by 2-spyware.com security experts. ^ Ransomware. Trendmicro. Enterprise cybersecurity solutions. ^ Kacy Zurkus. Why you shouldn't pay the ransomware fee. CSOonline. Technology news, analysis and reviews. This entry was posted on 2019-03-28 at 02:36 and is filed under Ransomware, Viruses. You can quickly scan the QR code with your mobile device and have Drume ransomware manual removal instructions right in your pocket. 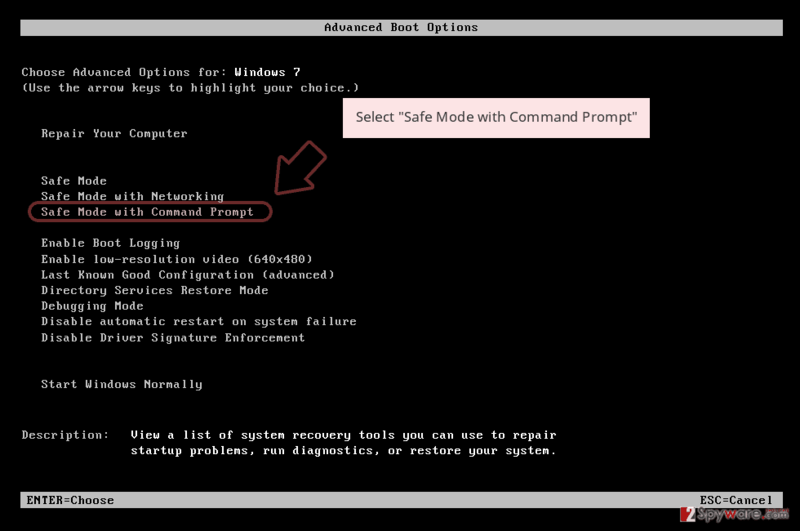 How did you remove Drume virus?